Attention all competitive spirits and procrastinators! Helicon proudly presents this term's exciting competition opportunity: Haik-Who? (If Shakespeare loved the pun, so do we). 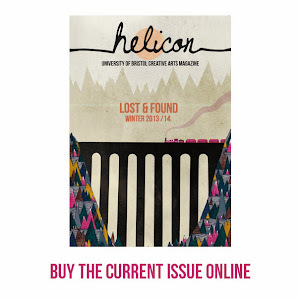 As you may or may not know, Helicon always runs a competition to coincide with the current theme. (Remember the six word stories from last year?) 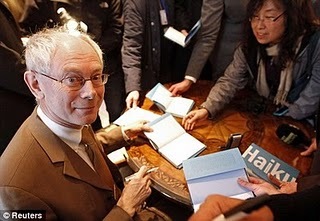 For this term's DISGUISE issue, we invite you to venture into the ancient and mystical world of the Haiku, a simple poetic form favoured by none other than our Supreme Leader, President of the European Council and famous Belgian, Herman Van Rompuy. For those of you unfamiliar with the Haiku, it is a short poem consisting of a five syllable line followed by a seven syllable line, and then finished off with another five syllables for good measure. The top ten will be published in the upcoming edition, and our favourite three will be illustrated. Interesting personalities will make interesting Haikus, so find yourself a worthy muse and get writing!